So why did they make it harder you’re probably wondering? It is described in this article. In short : security and class loading problems. It is also good to know the TransportClient will be deprecated soon so the high level rest client is also an upgrade that should be on your radar. As of version 5 you have to spin up a standalone server and run your integration test against that server. David Pilato (from elastic) suggests a few tools and I found embedded-elasticsearch after some research. Elastic has given a maven plugin low priority so they suggest the tools David mentioned. When evaluating the tools it was important for us to be able to run the test from within the IDE and use Nexus (preferably without hard coding a url in the application) to download the elasticsearch distributions (since there is no direct internet connection on our Jenkins build server). Before we start with embedded-elasticsearch I’ll explain how to run any server on a random port. Even on your local machine it is a bad idea to use static ports in your tests. On a Jenkins server you immediately run into flaky tests when multiple builds use the same port at the same time. On your local machine ports might clash with already running applications. Se be a good citizen and set it up properly from the start. With the call new ServerSocket(0) java will allocate a random port for you. With getLocalPort this port number is revealed. I will explain how to setup your server followed by instructions on how to setup Nexus (this step is optional). First add embedded-elasticsearch as a dependency to your pom.xml (you might also have to add commons-io when it is not already in your project). I assume you already use JUnit 5 (and otherwise this might be a good time to start using it). I decided to start the elasticsearch server once, it is of course possible to start/stop a server every test. When you don’t use Nexus it suffices to use https://artifacts.elastic.co/downloads/elasticsearch/elasticsearch-%s.zip as the url. Also don’t forget to pass the url as a configuration property. Note that, even though you don’t use it, you have to setup the tcp transport port since multiple processes claiming the same port can lead to problems. Right now you have a running server. It is time to add your tests, create indexes and add mappings. Since this is very specific for your needs and a basic setup is provided in the readme of embedded-elasticsearch I decided to skip this. I’m not happy with hardcoding the version so I submitted a pull request that will scan your classpath for elasticsearch client jars and use the highest version found. It’s a bit cumbersome, but it will save you the hassle of keeping two versions in sync. set the version by replacing ELASTIC_VERSION with AutoDetectElasticVersion.detect() (works with elasticsearch 5 and higher). The only downside of this configuration is that we have to hardcode the url in our application. The elasticsearch-maven-plugin uses the Maven distribution model (but you can’t run it from your IDE from within the integration test). Since many people use Spring Boot and it is not trivial to set the port I’ll explain it here. 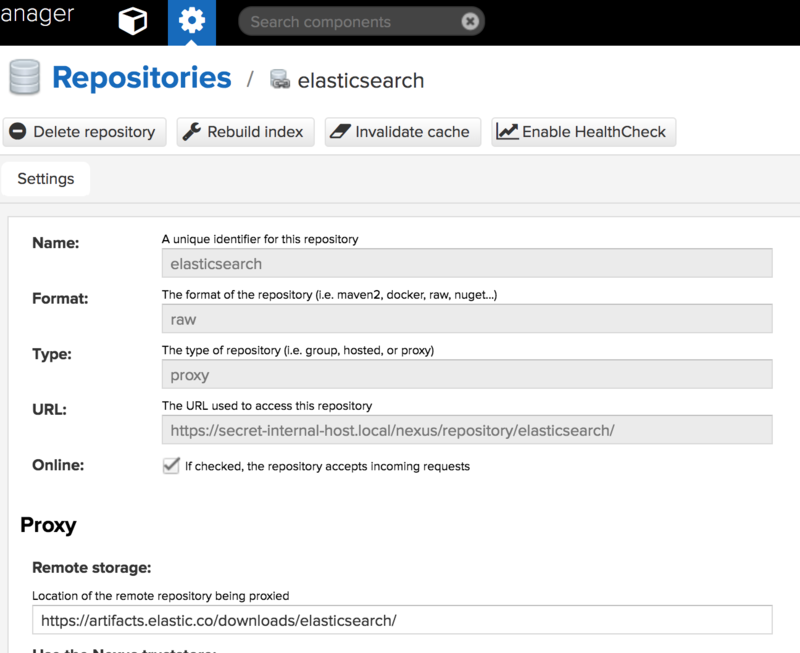 Our project uses the configuration property elasticsearch.port to define the port number. Since it is random now there is no way to set it in application-test.yml. Luckily Phill Webb has a great suggestion. This will override the elasticsearch.port property when starting your tests. I hope this article will help you. Improvements/suggestions are more than welcome in the comments. Hi, very informative post. I’ve given a shot to this approach, however since I run behind a proxy, it gets a bit messy… I can’t find a clean way around defining the proxy. I’m glad my post helped you further. I don’t think the library has support for proxies yet. Maybe you can create a pull request (or just create an issue, it shouldn’t be too hard to implement). This post helped us a lot, thanks. – Before running the tests, an ElasticSearch instance is started on a random port, say 54321. – Spring spins up an ApplicationContext for the test, and in the Initializer the port 54321 is passed as a property to that ApplicationContext to contact ElasticSearch. – The tests in MyTest1.java finish and the ElasticSearch instance running on port 54321 is stopped. – Spring does NOT start a new ApplicationContext, but re-uses the one from MyTest1.java that tries to contact ElasticSearch on port 54321. – Tests fail because there is no ElasticSearch running on port 54321 (only on port 12345). To fix this issue we moved the code that starts ElasticSearch to the Initializer (where we also set the property with the ElasticSearch port for Spring). So not in an @BeforeAll method. This way each ApplicationContext has its own ElasticSearch instance. We don’t stop the ElasticSearch instance in an @AfterAll. It gets stopped after running all tests anyway. Now when an ApplicationContext is reused it can still contact the same ElasticSearch instance. It will still be there. Hope that helps others running into the same issue. Cool, thanks for the improvement. We probably can use that in our projects too!